OVERVIEW: Acclaimed director Darren Aronofsky (Black Swan) delivers “a mind-blowing masterpiece” (Scott Mantz, “Access Hollywood”) with the extraordinarily original mother!, arriving on 4K Ultra HD, Blu-ray and DVD December 19, 2017. The film arrives on Digital HD December 5, 2017. 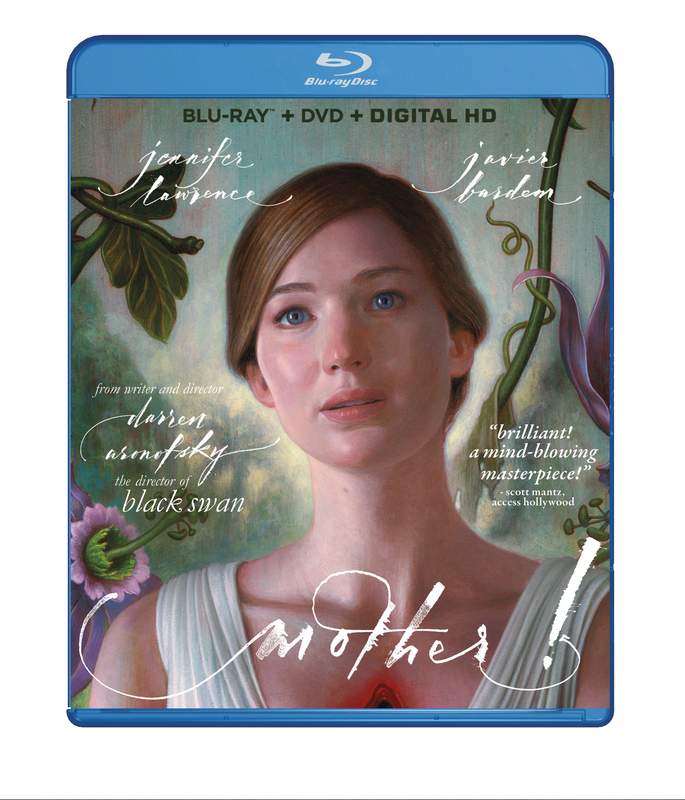 SYNOPSIS: Described as “darkly exhilarating” (Justin Chang, Los Angeles Times) and “Aronofsky’s most daring film yet” (Ben Croll, Indiewire), mother! stunned critics and audiences around the world. Jennifer Lawrence and Javier Bardem star in the visually arresting psychological thriller that will leave your heart pounding and your mind blown. The film also stars Oscar® nominees Ed Harris and Michelle Pfeiffer, along with Domhnall Gleeson, Brian Gleeson and Jovan Adepo. BLU-RAY: The film is presented in widescreen in a 2.40:1 aspect ration preserving its theatrical format. The picture is just flawless. Not only the picture looks great in this release, also the sound it is good, a 5.1 Master Audio in English that provides a good complement to the picture. It also includes English, French and Spanish subtitles. The Makeup FX of mother!.